Jacinda Mack is a Secwepemc and Nuxalkmc woman whose life work is focused on Indigenous land and water protection. She currently lives in Xat’sull, Secwepemculecw. Indigenous Peoples have a direct relationship with the land and water, embodied in their languages, ceremonies, family relationships and worldview. Culture is the expression of the bonds and responsibilities that Indigenous Peoples uphold for present and future generations. Protecting and maintaining sacred places such as salmon spawning grounds, moose calving areas, freshwater springs, food and medicine gathering areas, ceremonial spaces and burial grounds carries a responsibility to future generations. Some of these areas are also rich in minerals and metals that both industry and government want to extract from the Earth, to the detriment of their sacred and life-giving qualities upheld by Indigenous Peoples. By 1865, the population of the new British colony of British Columbia had soared from about 7,000 people to more than 30,000, primarily with gold miners who sought their fortunes in the heart of Secwepemc Territory, quickly establishing the gold rush town of Barkerville. The miners brought many diseases with them, leading to the near annihilation of Indigenous nations who were ravaged by smallpox, measles and tuberculosis, diseases that effectively devastated entire nations. For Indigenous communities, “gold fever” meant disease, displacement and death. As Indigenous survivors were reeling from the plagues of gold fever, they were systematically and forcibly organized onto Indian reserves by the new colonial administration, eager to remove them from their resource-rich ter­ritories and subdue resistance by Indian Chiefs, who strongly opposed the illegal occupation of their homelands. Assimilation policies followed suit, forcing attendance at residential schools, which removed surviving children from their traditional ways of life in an attempt to break their connection to their land-based identity. While Indigenous nations were engrossed with their very survival, entrepreneurs followed the miners to the gold fields and sold food, whisky, brothel services, transportation, tools and building supplies, and infrastructure for a new colony. On Aug. 4, 2014, the tailings pond at Imperial Metals’ Mount Polley mine failed at a catastrophic level, releasing more than 24 million cubic metres of tailings waste (ground rock particles, waste water and chemicals) into the fish-bearing waters of Polley Lake, Hazeltine Creek and Quesnel Lake. The magnitude of force from the collapsing of the tailings pond tore the old-growth forest to shreds, and scoured the mountainside down to bedrock for approximately 10 km, emptying into the salmon nursery and later endangering the Fraser River watershed. To the Secwepemc people, this lake is known as Yuct Ne Senximetkwe, the birthing waters of the salmon and the greatest of all lakes in the territory. The disaster was experienced as a death, with fear for the future of clean water, salmon, birds, wildlife and humans in the watershed. The worst environmental catastrophe in Canadian history, the Mount Polley mine disaster forced both the government and the mining industry to acknowledge what Indigenous Peoples had been saying all along — that major mining law and practice reforms are needed to prevent another such atrocity from occurring again at any one of Canada’s thousands of active and inactive mines. Indigenous communities immediately impacted by the disaster, including the Secwepemc, Dakelh, Tsilhqot’in and St’at’imc, spoke out about the need to be involved in the government response and decisions related to this disaster — all are located within the same Fraser River watershed and depend on its sal­mon for food. But despite considerable public outcry and pressure from Indigenous Peoples, mining laws in British Columbia were only marginally modified in the three years following, and continue instead to protect the interests of mining companies over the health, safety and longevity of present and future generations of people within the Fraser River watershed and beyond. The investigations carried out by the provincial Liberal government recommended no charges or fines to the company responsible for the disaster. The Tsá Tué Biosphere Reserve, the world’s first such UNESCO site managed by an Indigenous community. 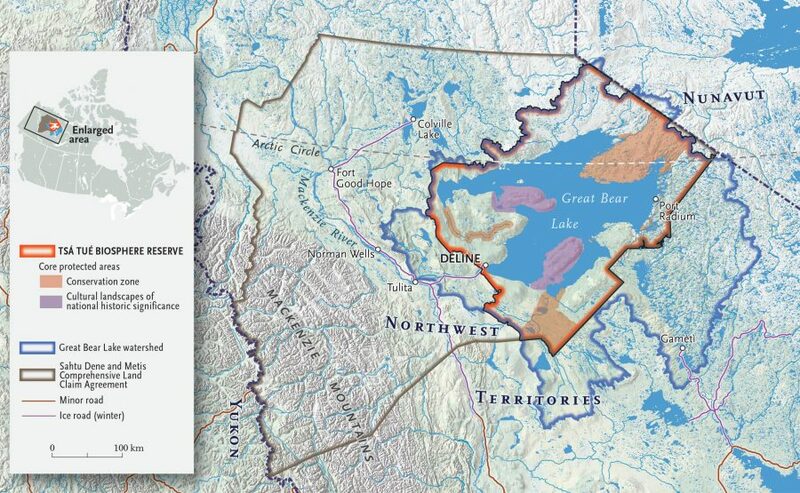 After more than 150 years of land dispossession and court battles over Indig­­enous title and rights, Indigenous Peoples are engaged in land use planning processes, establishing Indigenous parks and protected areas, and conducting territory inventories and baseline studies of land and water with newly formed Indigenous guardian and ranger programs. In addition, the United Nations Declaration on the Rights of Indigenous Peoples has become a hot topic between industry, governments, and Indigenous Peoples. In particular, Article 10 of the declaration addresses “free, prior and informed consent” in relation to forced removal or relocation of Indigenous Peoples. “Business as usual” now must include Indigenous Peoples — a far cry from the disenfranchisement and assimilation policies of the past. As Indigenous people’s populations regain strength and health, as human rights violations are acknowledged and addressed, and as new generations of healthy, traditionally grounded and reconnected Indigenous people emerge, pressure to reconcile and replace unviable business models and mining practices that pollute and diminish the Earth are also emerging. Although much work remains to be done, a shift is happening — one that includes and acknowledges the value of Indigenous knowledge, consent, worldview and leadership.